Bella Real Estate, Inc. specializes in residential property management, residential and commercial sales, and leasing in Leander, TX. Bella translated to English means Beautiful; we strive to maintain the beauty of your property by providing exceptional property management. Leander is a city in Williamson and Travis counties in the U.S. state of Texas. The population was 26,521 at the 2010 census. 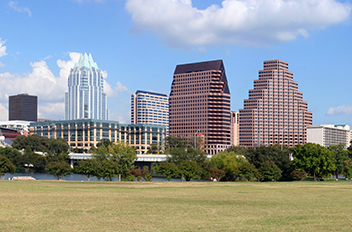 It is one of the fastest growing suburbs north of Austin, and is part of the Greater Austin metropolitan area. Leander was established in 1882 on land sold by the Austin and Northwestern Railroad Co. to prospective citizens. The town was named in honor of Leander "Catfish" Brown, one of the railroad officials responsible for the completion of the line.